Compared to the regular bags that people carry around, the explorer tactical gun concealment backpack can be a more reliable alternative, especially for any backpack enthusiast. This bag is badass and it takes you whenever you want to go regardless of the seasons, conditions or anything else for that matter. Explorer Tactical Gun Concealment Backpack with Molle -Webbing hydration ready is one of the most versatile tactical backpack on the market today. It’s very competitive in price and also comes with extra features of hydration ready and gun concealment which aren’t readily found on most tactical backpacks. This backpack is made from 600D x 600D polyester comes with so many straps, compartments and webbing considering how much you are paying for it. It also comes in six different designs which determine the price. They include Drab Green, Woodland, ACU Camo, Multi Camo, Black and Tan. 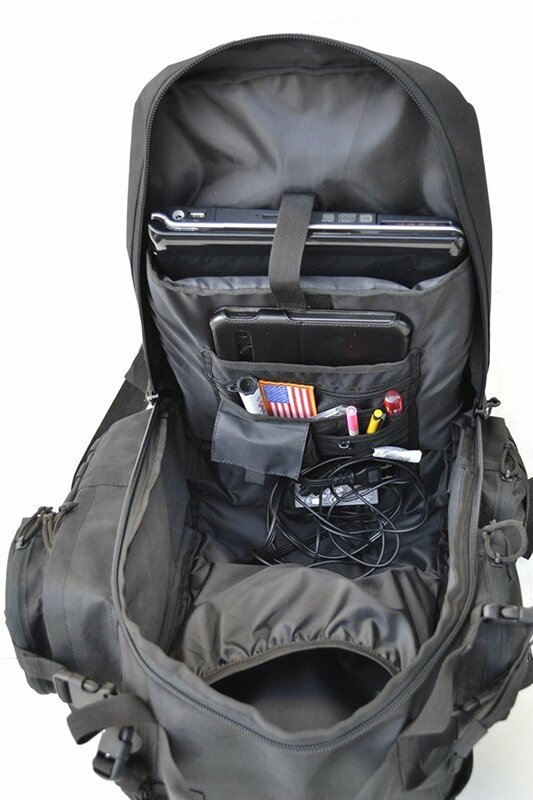 Explorer Tactical Gun Concealment Backpack can be used in so many situations including as a bug-out day, camping and hiking, every day work bag, a beach bag or for military and tactical use. This bag has been buzzed about by customers and in other online buying sites, it’s actually sold out. 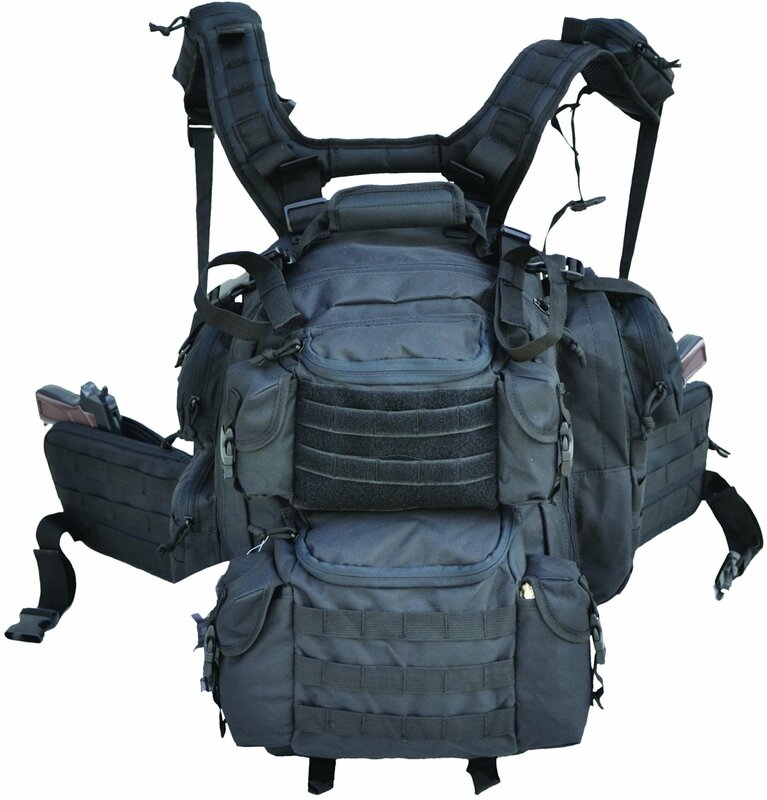 This 20-inch assault pack is multi-pocketed and also comes with a gun compartment. It comes with six zipper pockets, two at the front and four side pockets, a long laptop pocket, two back enlarged iPhone and sunglass pockets as well as an iPad easy access pocket. It also comes with 4 extra military style pockets with a buckle at the front. The top front pocket is covered with full velcro. Moreover, it boosts at being one of the few bags with a gun concealment compartment. It has two gun pouches situated at the waist that can be perfect for carrying a handgun, medical accessories or even cell phones. Explorer hasn’t compromised on quality and room. They clearly understand the importance of the organization that most users crave and have tried to make it easier for them. 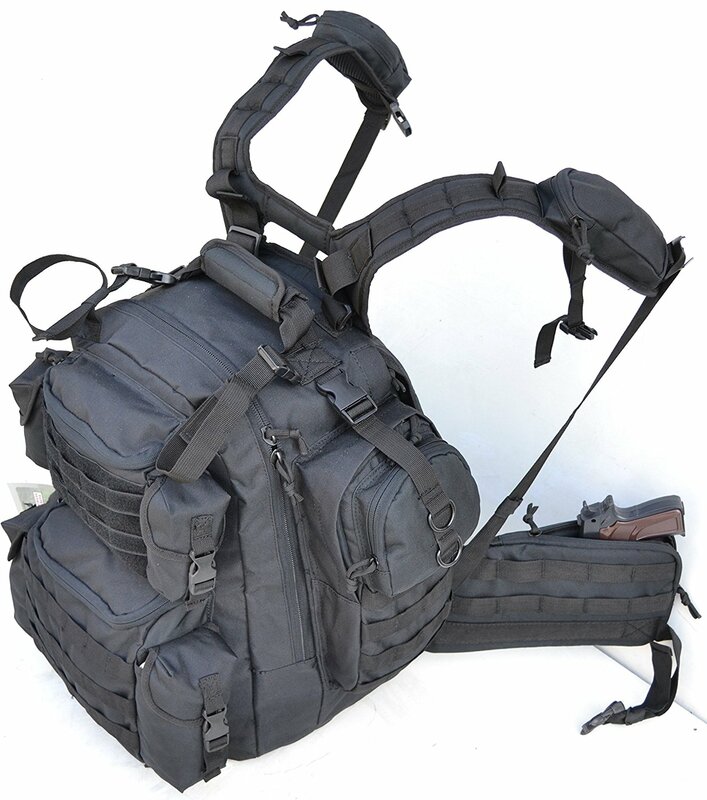 This tactical bag comes with padded shoulder straps which have a Molle-compatible webbing system. A molle strap system, as well as extra straps on the bottom as well as several other areas, ensures that the bag can accommodate other pouches, containers and pockets. It’s of the user is wearing all the items instead of carrying them. The padded straps contribute to the user’s comfort, especially when carrying it for longer distances. This tactical backpack is created using 600D X 600D polyester, which is a strong and high-grade material. It’s sturdy, well-constructed, the stitching is done perfectly well with a functional zipper and reliable straps. The bag is built to last and you really shouldn’t worry about it not being there for you when a pandemonium strikes. It is hydration ready, has a lifetime warranty and one of the slickest EDC backpack on the market today. Divided pockets make for easy separation to maintain an easy organization. Top load straps to increase the load capacity. It enables you to add larger objects without taking up pocket space. This backpack is sturdy, well constructed and perfect stitching. The zip also works pretty well for most of the users. It is versatile. This bag can easily adapt to different uses that’s to its customizable features and great features. The bag is very affordable considering the functionality it delivers. It gives you the absolute value for your money. The bag rides low on the back, straps will need adjustment for a comfortable ride. It also screams military preparedness, which can place a big target on you back thus you proceed with much caution whenever in crowds. Some users complained that the concealed carry pouches are no big enough and also not removable which might be a challenge when carrying a bigger pistol. Q: Does this bag have a large pocket for carrying a laptop? A: Yes. It has a long well-padded pocket that can be used to carry a laptop. Q: Where is this tactical bag made? A: It’s made in China and offers more for lesser bucks. Q: What the weights of this tactical bag? A: It weighs 4.5lbs and it’s relatively lightweight considering the amount of side pockets it comes with. With so many tactical backpacks on the market today, brands are re-inventing and innovation better design with additional features that will make their products stand out from the rest. Explorer tactical backpack will definitely surpass your expectation since it’s a multi-purpose bug with loads of functionality. If you one the market looking for a functional, durable, military grade backpack, the explorer tactical backpack will offer you all that and even much more. It’s an investment worth making if you want to have more fun and fewer worries on your next bug-out or camping expedition. Badlands 2200 Pack Review What kind of facilities should a hunting backpack have?